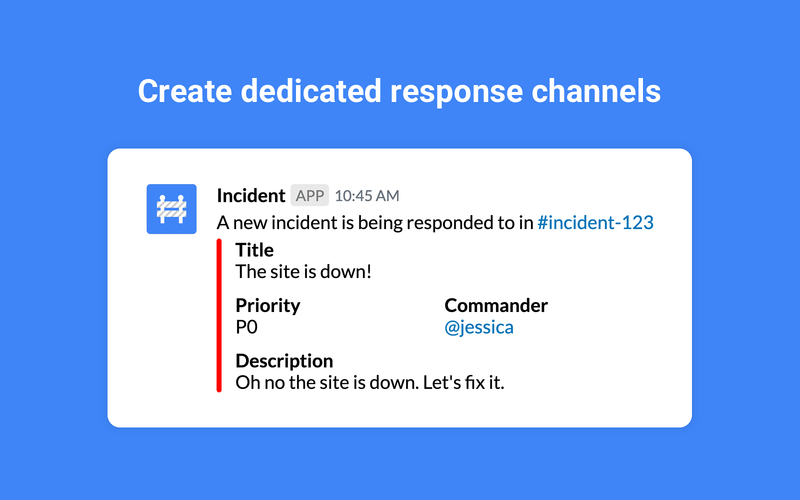 Incident Tools helps you and your team respond to downtime and other incidents faster than ever right in Slack.Coordinating during downtime can be extremely stressful -- Incident is here to help you by providing the structure and tools to manage your response, so you and your team can focus on what matters most.- Create dedicated response channels to focus your efforts. 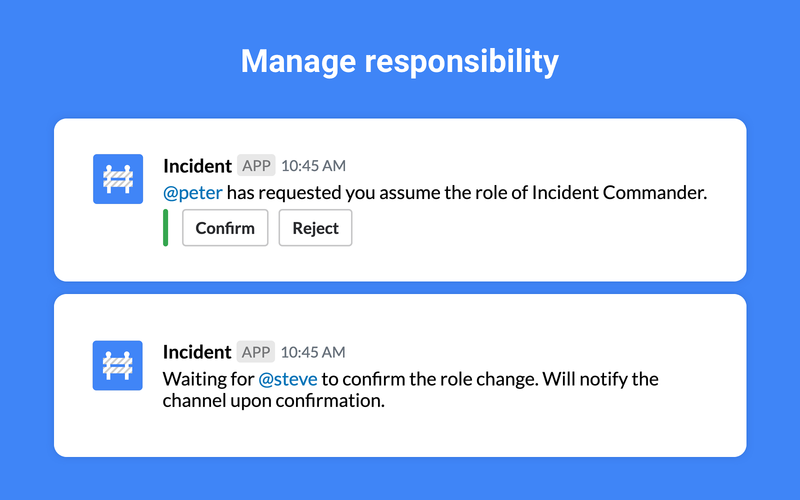 - Elect an Incident Commander and require confirmation to handoff responsibilities. 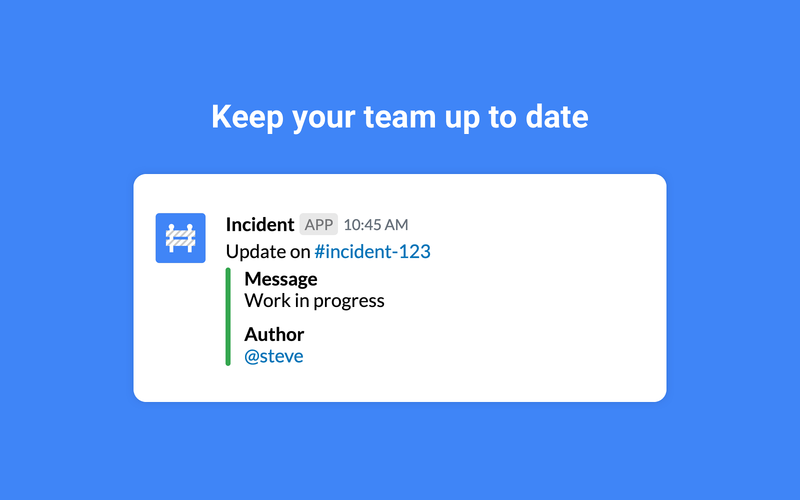 - Keep the rest of your company in the know with frequent updates. Incident will be able to access information about your workspace, including name, email domain, and icon. Incident will be able to modify information about your public channels, including name and purpose, as well as archive and create new ones. Incident will be able to access your profile fields, as well as any data you’ve entered in them. 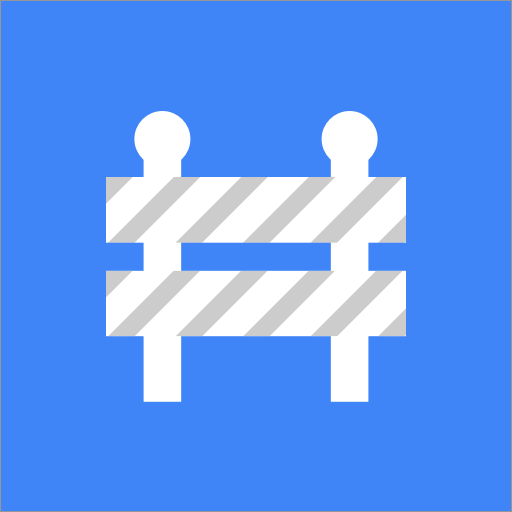 Incident will be able to access basic information about your public channels (including names, topics, purposes, creation date, and latest message). Incident will be able to send messages to your workspace.